Jenevieve offers a 20-30min (free) consultation for new clients. Did you experience a birth as unexpected, disappointing, challenging, difficult or traumatic? You Can Free Your Relationship to Your Birth Story. This series is typically offered in the spring and fall. Facilitated by Jenevieve Russell, MA, LPC, CD & Rt. 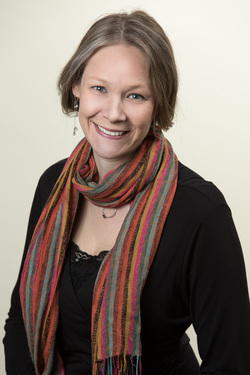 Rev Stacia Synnestvedt. ​JOIN THE EMAIL LIST to be notified about their next class series. I am passionate about supporting individuals, couples, families and groups in Boulder as we navigate transitions from where we are ... to where we want to be. Even in this time, you can heal. grow. THRIVE! Each person I am honored to work with is met with true non-judgmental support and deep respect. Beyond the spaciousness and empathy counseling offer, I also provide keen insights, practical and proven strategies to boost your immediate functioning, as well as on-going tools to support reaching your goals and sustaining your optimal wellness. My focus is with parents throughout fertility, pregnancy, birth and postnatal time. I work with men and women, individuals and couples. When facing life’s changes and challenges with the right support, you can rise above and deepen your own wellness. With over 15 years of experience, I can help you heal, learn practical tools, regain balance in your life, unearth internal & external resources, and reclaim your true joy and vitality. My educational background is in psychology, counseling, sociology and human services with in-depth clinical studies in specific evidence-based therapies, including: cognitive, transpersonal, humanistic, client-centered, attachment, experiential, gestalt, trauma, EMDR and positive psychology /strength-based approach. I use a wide variety of traditional and non-traditional modalities tailored to what tools are needed: EMDR, Brainspotting, Goal Setting, Insight, Life Skill, Practical, Interactive Strategies, Experientials, Cognitive / Behavioral Tool, Pain Reduction/Management, Self-Care Tools, Homework, Peri-Natal And Birth Work, Trauma Release, Evidence-Based Approaches / Information, Research, Community Resources and Networking, Body & Breath Awareness, Mindfulness Practices, Presence, Gestalt, Reframing, Active, Reflective Listening, Meaning-Making Story Sharing, Metaphors, Dreamwork, Art making, Guided Imagery, Visualizations and more. I am a psychotherapist, a birth doula in Boulder, an educator and a mentor / supervisor to new professionals. Since 1996, I have been steeped in a wide range of mental health professions ranging from non-profits, universities and private practice. With my extensive professional background, I provide a wide bag of resources and support tools that I tailor to your unique situation and needs. I have worked in many specific areas, including: pain management, birth doula support, family interventions, university faculty, co-creation of university counseling center and internship program, crisis prevention and prevention, abuse, domestic violence, sexual assault, trauma, grief work, community response teams, community building, program development, psychoeducational presentations, leadership training, life skills, women’s groups, allyship in diversity work, volunteer advocacy programs, networking & coalition building, rites of passages ceremonies, coaching business strategies, mentoring and supervision.